The pastry company just announced it would be teaming up with Jolly Rancher (yes, Jolly Rancher!) to limited-edition Pop-Tarts in three of the candy’s signature flavors: Watermelon, Apple, and Cherry. If this is Pop-Tart’s attempt to capitalize on Millennial nostalgia, it’s working: Raise your hand if remember passing around Jolly Ranchers in your elementary school class? 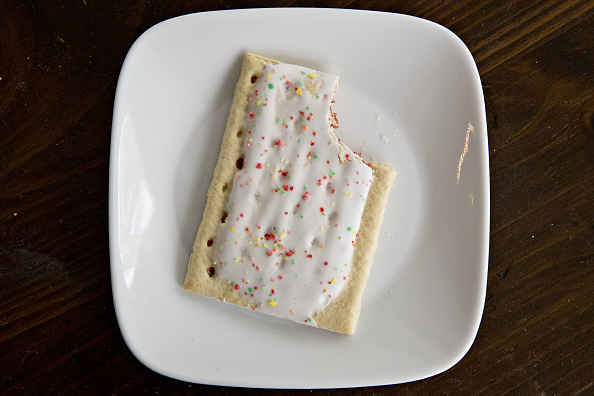 According to Cosmopolitan.com, the Pop-Tarts hit the nail on the head when it comes to flavor accuracy, and biting into the pop-tart tastes like you’re eating a softer version of the rock-hard, sticky candy of your youth. The breakfast (or any-time-of-day) treats will be available in grocery stores where Pop-Tarts are sold for a limited time – so candy lovers should definitely stock up before they’re gone!